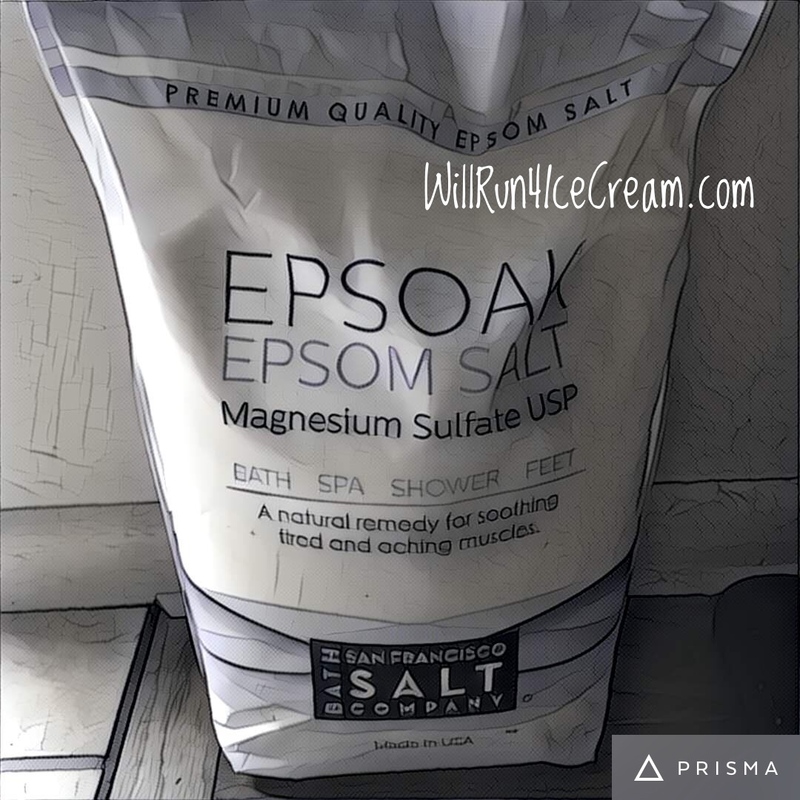 I wrote a #TuesdayTidbit on my Will Run For Ice Cream blog back in March 2015 about using Magnesium Sulfate. You can read that article here if you'd like. But I often get questions from people about my Epsom salt baths, so I thought I'd answer a few of those. Yes, I actually do soak in Epsom salt baths at least once a week - sometimes more. And yes for me, I really can tell a difference in soreness and my mood. I do usually buy in bulk. I find it's cheaper than getting smaller bags. Some companies say use 1 cup. Some say 2. I usually follow the general guidelines. Although I'm not exactly precise. I also use liquid Epsom salt with various scents. I like the lavender, but I also use the eucalyptus spearmint one. And there are several more available. I did try a menthol one. I lasted about 1 minute and came out screaming. Imagine icy hot being smeared all over your body.. ahem.. like all over your body... and yeah... the sensation lasted a long time! Needless to say, I didn't try that one again. The two listed above are usually my go-to for scented soaks. I find that it relaxes me, helps with my mood, and muscle soreness. And sometimes I will use the liquid with a hand full of regular Epsom salt thrown in. I usually try to soak 20-30 min or so, but that's not always realistic. Sometimes I only have 10 minutes, but to me that's better than nothing. I've been doing this for well over a year now. And I can honestly say that mentally I can tell a difference if I skip too many days. So, if you are looking for a way to pamper yourself, give Epsom Salt baths a try. I'm glad I did!